Amazon’s grown-up-sized e-Reader, the Kindle DX, is now available worldwide so I thought I’d take a quick look at what all the fuss is about and at the same time, have a peek at some other e-Readers out there that have caught my eye. Not so much a comparison as a look see! DX to, the original price doesn’t seem to have budged. To help potential buyers see exactly where in the world the device’s built-in 3G/Edge/GPRS is supported, Amazon has produced a searchable, zoomable map. 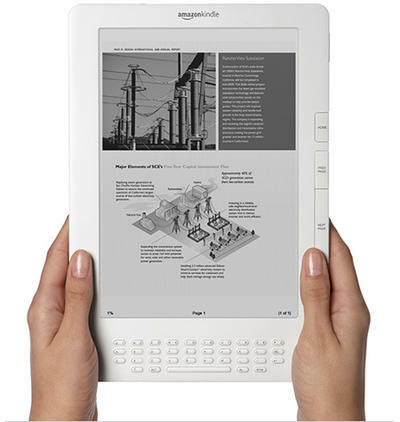 The original Kindle, like may of its competitors, features a six inch diagonal e-Ink screen and is claimed to hold 1,500 e-books. There’s text-to-speech for the partially sighted, manual display rotation and wireless connectivity. The DX supersizes proceedings a little by upping the screen size to just under ten inches and offers 16 shades of gray for optimum custom comfort, can hold another 2,000 books and has auto-rotation. Battery life has been extended from the four days of earlier models to about a week. Of course, the DX is no longer the handy pocket-size carry about that was so attractive about the Kindle and it’s a good bit more expensive but whether it’s the e-Reader for you will depend as much on personal choice as financial status. Amazon’s offerings are not the only ones out there though, I reckon that there must be as many different varieties of e-Reader now available as their slightly bigger and bulkier netbook cousins. 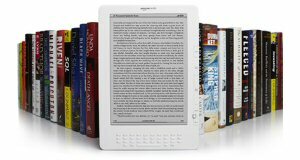 Sure, Kindle buyers benefit from a quick and easy e-book buying experience and the knowledge that Amazon is fairly ubiquitous but what else is on offer? A matter of taste perhaps but one that keeps catching my eye is the COOL-ER from Interead. It’ll only hold around 800 books (but has a card slot for library expansion) and is in more the screen size range of Amazon’s baby model than the DX but owners get access to over a million titles, don’t have to worry about tipping the airport luggage scales as it weighs less than six ounces (Kindle – 10.2oz, DX – 18.9oz) and looks gorgeous. Plus the could-have-been-designed-by-Apple device will shortly benefit from 3G connectivity too. Equally gorgeous and coming with much more functionality, Plastic Logic recently showed off its new QUE at CES in Las Vegas. Available from April, prices start at a whopping $649 for the 4Gb model but before writing it off, consider what you’ll be getting. 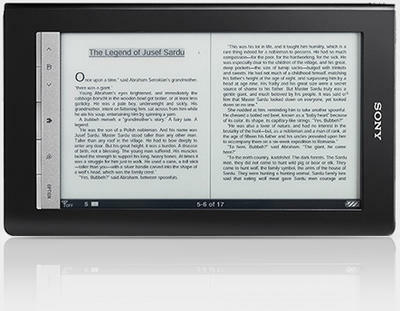 That 4Gb model will connect to the world’s largest e-Bookstore courtesy of Barnes & Noble (who of course has its own reader in the Nook) via WiFi or 3G, offering a choice from well over a million titles. 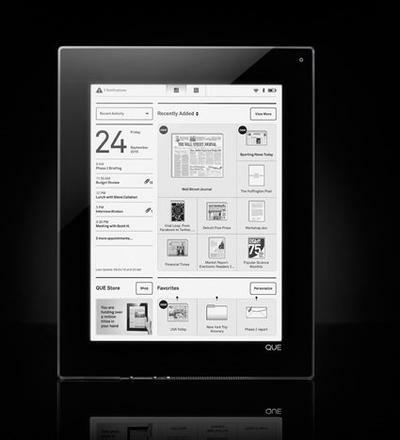 The QUE offers a 10.7in shatterproof touchscreen interface that should make locating and reviewing documents, spreadsheets, presentations and reports a joy. If 4Gb isn’t enough, an 8Gb model is also scheduled for release. While I like the look of Barnes & Noble’s Nook, I would much prefer to own a Skiff reader, which was yet another innovation announced at this year’s CES. As you can see from the photo below, the Skiff‘s display is a little different from the others, being made from a flexible foil made especially for the reader by LG. Claiming four times as many pixels (1200 x 1600) as other readers currently available, a huge 11.5in touchscreen display and 4Gb of memory (expandable via card slot), the Skiff will be available later this year for an (as yet) undisclosed price. 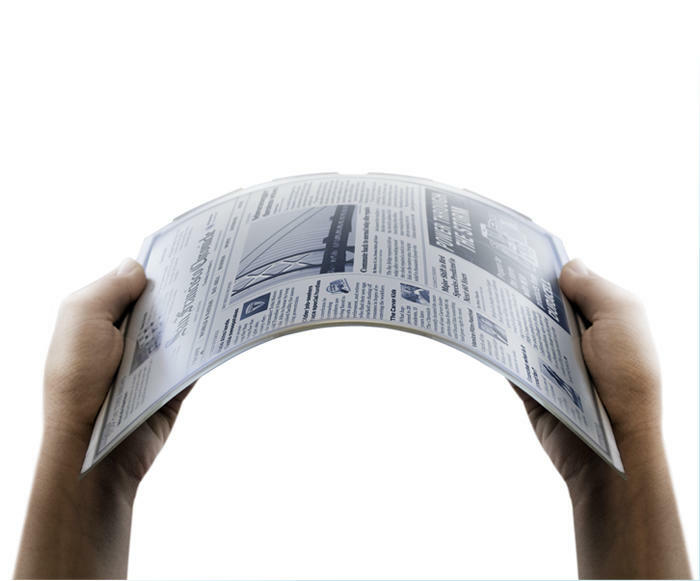 There are far too many e-Readers currently available and coming up for release to feature here but it would be remiss of me not to mention at least one model from the first to use e-Ink technology, Sony. So without further ado, I choose to feature Sony’s Daily Edition reader. Not just because it very much looks the part but also because it’s been optimized for newspaper as well as digital book reading on its 600 x 1024 pixel, 7in e-Ink Vizplex display. Free 3G mobile broadband within the US, long battery life and touchscreen navigation are just some of the other benefits of this elegant $400 e-Reader. 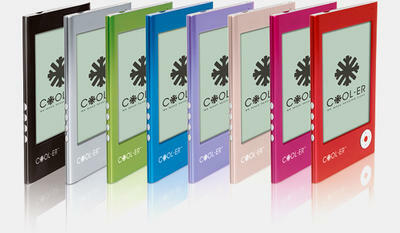 Do you own an e-Reader? If so, which model and why did you choose it?